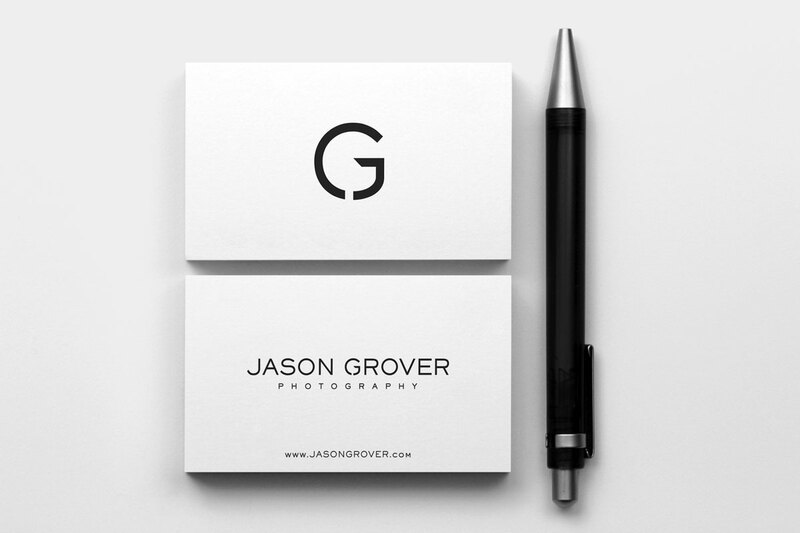 Jason Grover is a professional wedding and portrait photographer based in Saskatchewan, Canada. “Keep it clean, keep it simple!” – Jason clearly wanted a photography logo design that would not overshadow his work, instead, a clear symbol or mark that would complement it accordingly. Combining the J and G from Jason Grover into a monogram allowed for a very clean logomark that could be integrated directly into the main logo. Legibility is retained because the monogram element is not over-emphasised. To fit Jason’s style, a minimal black and white colour scheme were adhered to, keeping the focus on the work itself. Are you a Professional Photographer looking for a Logo Design?